The challenge of the Clipper Race appeals to both sailors and non-sailors alike. 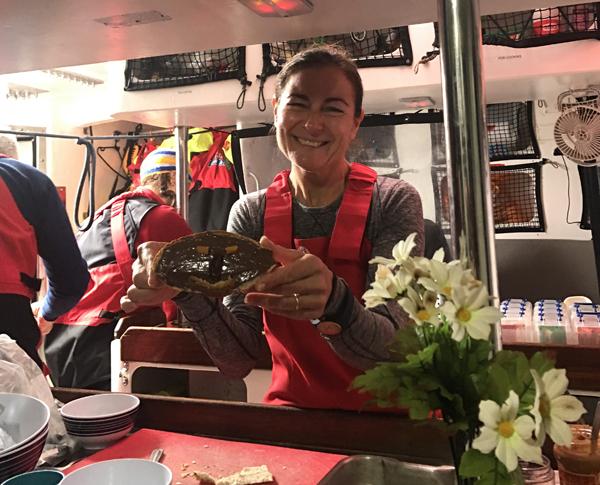 For Guylaine Chapdelaine, an experienced sailor from Brittany, it was the variety of the Clipper Race and the opportunity to hone her skills that caught her attention when visiting the Southampton Boat Show a few years ago. Having completed Leg 2 from Punta del Este to Cape Town, she has returned for Leg 4: The All-Australian Leg. Having sailed since the age of ten with family and friends, Guylaine is passionate about the sea and racing. She completed the ARC 2009, crossing the Atlantic with her husband and son on their own boat, Minimaxi, a Maxi 10.50, but felt it was now time to experience a more personal challenge. This is very much a personal challenge but Guylaine will be supported, throughout her entire journey, by her husband and two children. Whilst a seasoned sailor, Guylaine is aware of the challenges that come from sailing a 70ft yacht and relished every moment during her four weeks of training on the Solent. “For me it is totally different to sail on a 70ft boat. It is very important to train, because some gestures, power and decisions are not the same on a smaller boat so it is very important to be aware and conscious of safety. 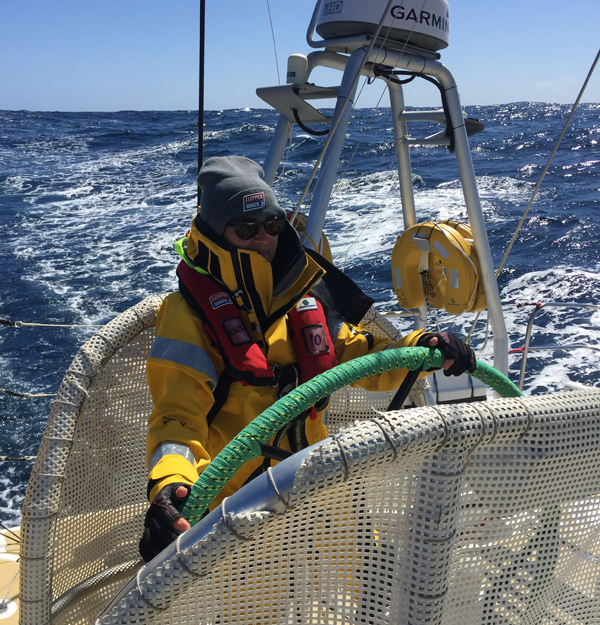 Choosing to take on South Atlantic Challenge Leg, Leg 2, the All-Australian Leg, Leg 4, the USA Coast-to-Coast Leg, Leg 7 and finishing with the Atlantic Homecoming Leg, Leg 8, Guylaine will add over 16,000 nautical miles to her log book. By the time she finishes, she will have sailed round one of the three legendary South Capes, competed in the famous Sydney Hobart race, transited the Panama Canal, visited five continents, and completed her dream of sailing into New York. 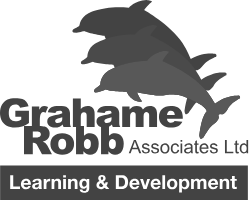 Looking for your next challenge? Applications are now open for the Clipper 2019-20 Race. If you think you have what it takes to race across oceans as part of the biggest round the world ocean race, then apply now.